The newly minted 32G Multi-protocol SerDes PHY is targeted at high-volume, high-performance applications including high-speed wireline, wireless 5G infrastructure and data center. Also, the Rambus SerDes PHY delivers data rates up to 32 Gbps and supports multiple standards including PCIe 4.0, JESD204B/C, CPRI, and Ethernet. Technical experts at Rambus state that the 28G and 32G Multi-protocol SerDes (MPS) PHY is designed with a system-oriented approach, taking the interface, interconnect and channel into account when optimizing performance and features to maximize flexibility in today’s most challenging system environments and applications. As Semiconductor Engineering’s Ann Steffora Mutschler observes, high-bandwidth memory (HBM) enables lower power consumption per I/O, as well as higher bandwidth memory access with a more condensed form factor. This is accomplished by stacking memory dies directly on top of each other – and sharing the same package as an SoC or GPU core using a silicon interposer. Each pin drives a much shorter trace and runs at a lower frequency – resulting in significantly lower switching power. “High-bandwidth performance gains are achieved by a very wide I/O parallel interface,” Mutschler explains. As Frank Ferro, a senior director of product management at Rambus notes, HBM takes existing DRAM with 2.5D technology and moves it closer to the processor using a fatter data pipe. This paradigm accelerates data throughput – effectively reducing the amount of power required to drive a signal and cutting RC delay. Perhaps not surprisingly, there are a number of HBM design factors that must be taken into consideration. For example, the challenge from a system design perspective often revolves around fitting more bandwidth in a reasonable area on the chip – and within a reasonable power profile. In general, HBM is considered quite efficient from a power and area perspective because it exploits 3D stacking technology. Indeed, says Ferro, companies have to decide if they want to use 5 or 10 DDRs, multiple GDDRs or a single HBM stack. Ferro also notes that while power is always an important consideration, there is more of an emphasis on cost versus bandwidth in the automotive sector. Put simply, performance and price are neck and neck, with power coming in at third place. 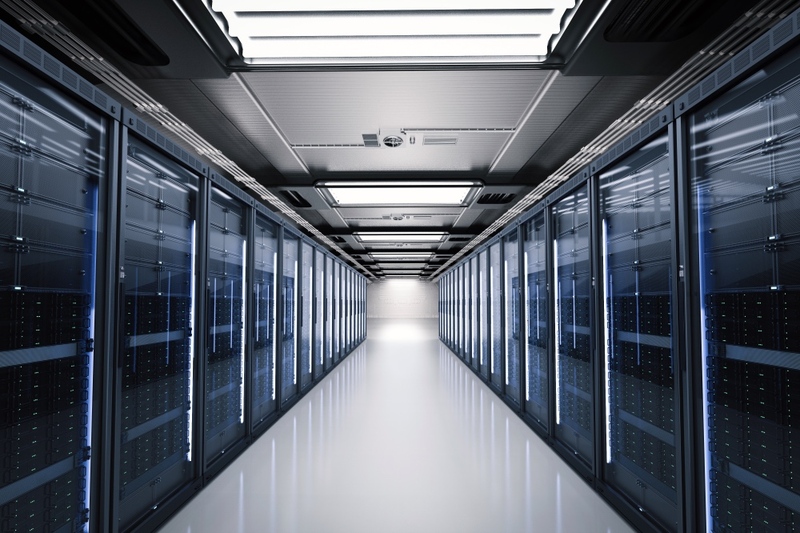 A recently published report by the Dell’Oro Group states that 400 Gbps is expected to comprise 20 percent of data center switching revenue by 2020. According to the research group, higher speeds – 100 Gbps, 200 Gbps, 400 Gbps and 800 Gbps – are all forecast to drive significant growth over the next five years. Perhaps not surprisingly, cloud data centers are expected to play a key role in the upcoming speed jump for networks (from 100 Gbps to 400 Gbps). Meanwhile, a market report released by the 650 Group confirms that 200 Gbps, 400 Gbps and 800 Gbps will all ship in the next five years – with the latter projected to ramp early next decade. According to Ronen Isaac of Military Embedded Systems, the industry is currently testing and ratifying technologies that will bring speeds up to 400 Gbps and beyond. Ethernet is quickly moving from 40Gbps to 100Gbps to 400Gbps, thereby spurring a number of new SerDes initiatives and developments. Indeed, 25Gbps SerDes served as the key enabler for 100Gbps Ethernet, with the industry expected to initially leverage 50Gbps SerDes for 400Gbps Ethernet before moving on to 100Gbps SerDes technology. Concurrently, SerDes technology is shifting from NRZ to PAM4 as it accelerates from 25Gbps to 50Gbps. This has prompted a number of architectural changes, including the replacement of traditional analog with ADC + DSP to help meet performance targets and maintain a similar power/area envelope. Interested in learning more about SerDes technology? You can download our eBook below.